There were 60 schools identified for the project initially. 5 more schools were added after two months. Hence the project is being implemented in 65 schools. 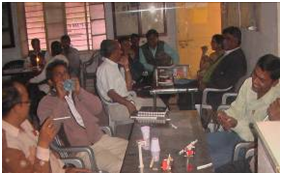 The Science Mobile Van visited 25 schools of Barmer district in December 2010. Students of 30 different schools visited the Science Exhibition during the winter-break. 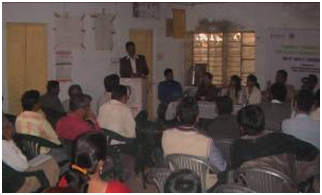 Thus 55 schools have covered by Science Mobile Van in December 2010. There were 13 to 16 experiments / models of different branches of Science demonstrated by the instructors. 3 community visits were organized. 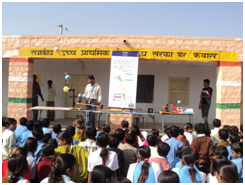 The Science Mobile Van visited 20 schools of Barmer district in January 2011. 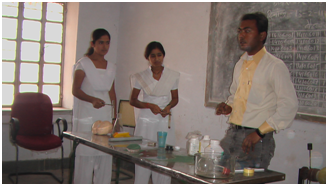 There were 13 to 16 experiments / models of different branches of Science demonstrated by the instructors. 1 community visit was organized. The Science Mobile Van visited 27 schools of Barmer district in February 2011. There were 13 to 18 experiments / models of different branches of Science demonstrated by the instructors. Two days teachers� training was organized at Nehru yuva Kendra, Barmer in which 54 teachers participated from different schools. No community visit was organized. 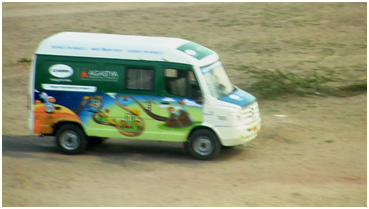 The Science Mobile Van visited 28 schools of Barmer district in March 2011. There were 13 to 18 experiments / models of different branches of Science demonstrated by the instructors. 2 community visits were organized. 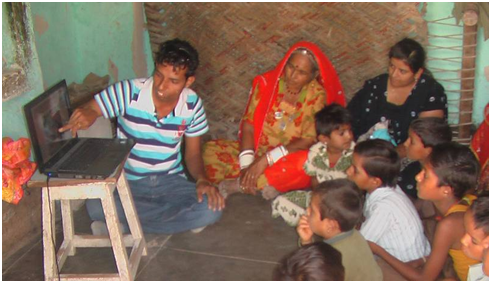 The Science Mobile Van visited 9 schools of Barmer district in April 2011. There were 12 to 14 experiments / models of different branches of Science demonstrated by the instructors. The team of instructors visited 76 families of 5 different villages in the month of June and interacted with the all family members. The team educated them on various points of Health & Hygiene in an innovative way. We focused on following points- Status of school education of children, Balanced Diet, Importance of Hand-washing, Sun-stroke- Precautions & first aid, Health & Hygiene, Vaccination. We prepared some PPts and showed them to villagers. People liked it very much. 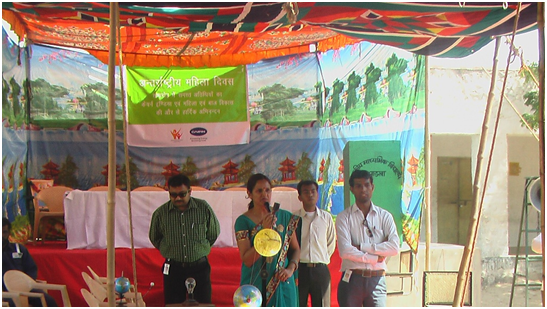 The Science Mobile Van visited 42 schools of Barmer district in July 2011. There were 13 to 16 experiments / models of different branches of Science demonstrated by the instructors. One community visit was organized. Science Fair will be organized probably in last week of August or first week of September 2011. So, it is all over report of activities organized in Science on Wheels Program at Barmer (Rajasthan) during the academic year 2010-2011.